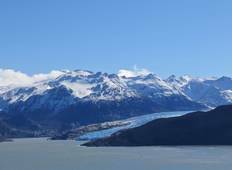 Find the right tour for you through Parque Nacional Torres Del Paine. 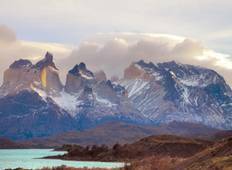 We've got 95 tours going to Parque Nacional Torres Del Paine, starting from just 5 days in length, and the longest tour is 210 days. The most popular month to go is February, which has the most number of tour departures. "The OneSeed excursion to Patagonia was an exceptional: the itinerary was tough (stiff..."
"You would enjoy this trek more if you are more of the physically active kinds. The..."
"Absolutely loved it, out guide was awesome, accommodation and food was great, it..."